【SPECIAL DESIGN】The facial hair remover tool for women is especially designed to use on upper and lower lip, cheeks, chin and neck. Works on peach puzz or fine hair. 【GENTLE TO DAILY USE】Hypoallergenic, suitable for daily use to keep up with the hair re-growth and leave it smooth. 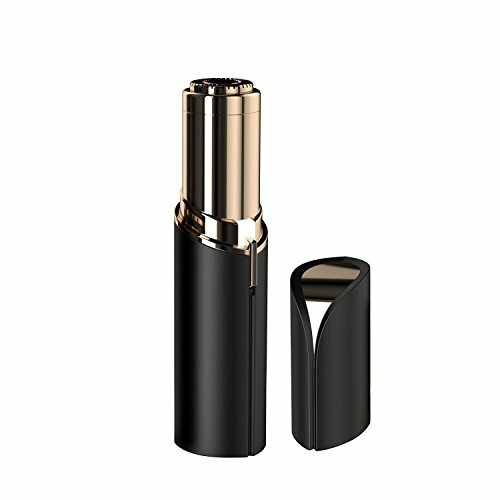 【EASY TO CARRY】Exquisite compact appearance, easy to carry as your lipstick. Designed for elegance fashion ladies, which also makes it a considerate companion for your confidence and beauty. 【BATTERY OPERATED】Remove the battery cover, place the AA battery. And then you can turn the remover on for use. It is easy to operate. Please keep the battery area dry.